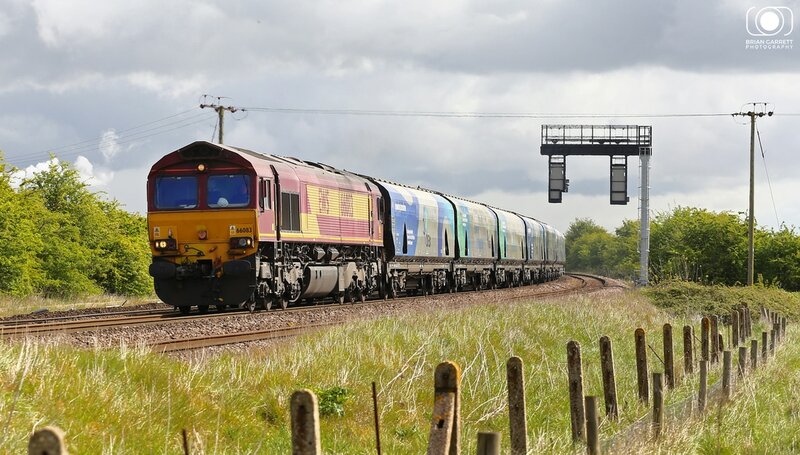 Barnetby was once the mecca for railway photographers, its classic semaphores untouched since the days of steam and large quantities of freight made it the ideal location to record the buys UK freight scenes alongside the classic design of signals. 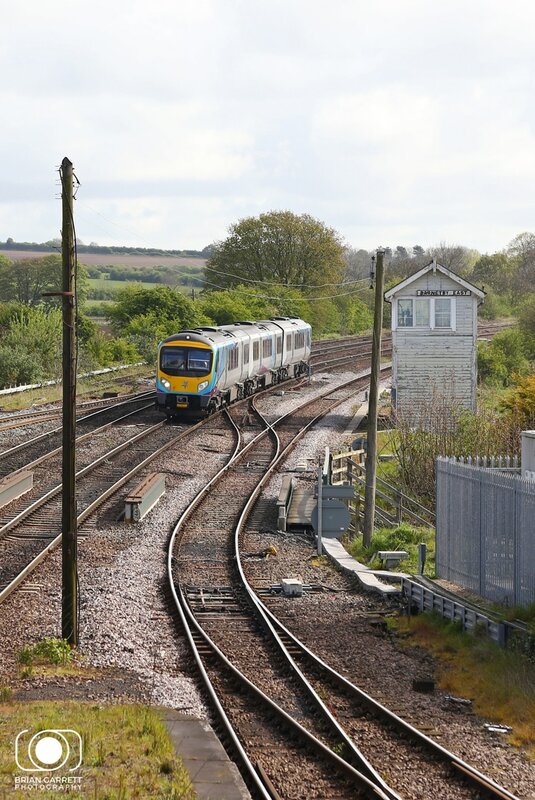 While the signal boxes still stand they no longer operate the modern signals and the gantries are long since removed. 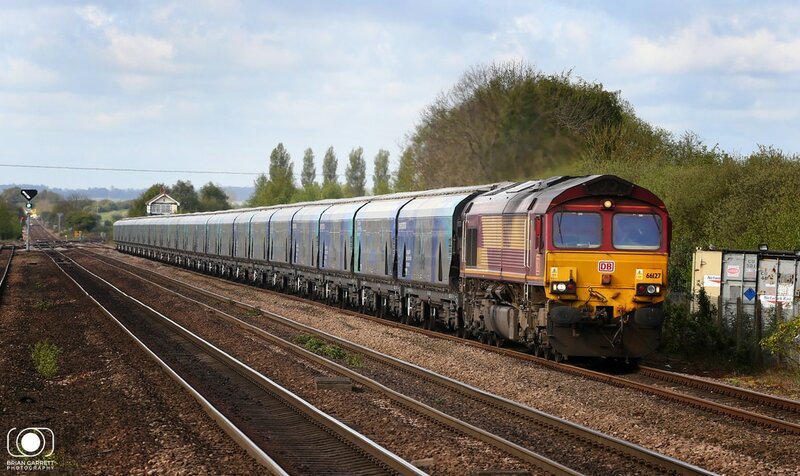 However the freight and passenger scenes are still buoyant and colourful, and although coal imports have declined the new flows of Biomass from the Port of Immingham to Drax are very much in their infancy. I took a very brief visit to the area on the 27th and 28th of April and manged a couple of hours photography. On the 27th I visited Crowle (which is located to the west of Scunthorpe) alongside the Stainforth & Keadby Canal, before making time for a couple of hours at Barnetby on the 28th April. 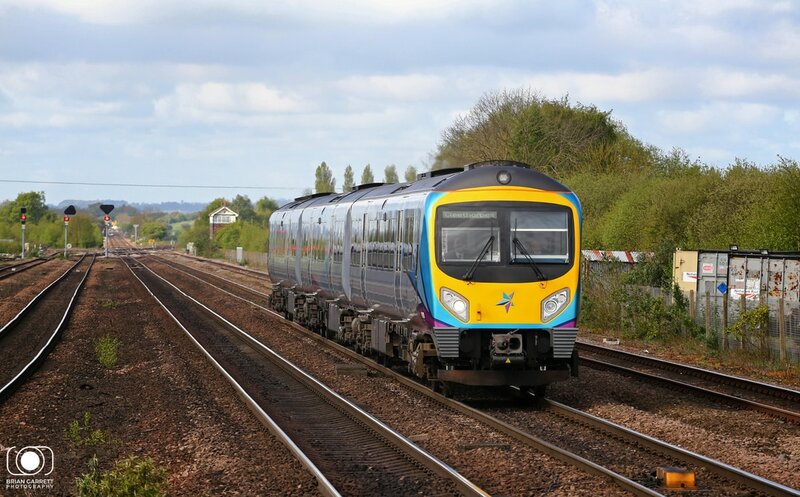 Transpennine Express liveried Class 185 No.185147 passes Crowle working the 1B90 13:66 Manchester Airport to Cleethorpes service. 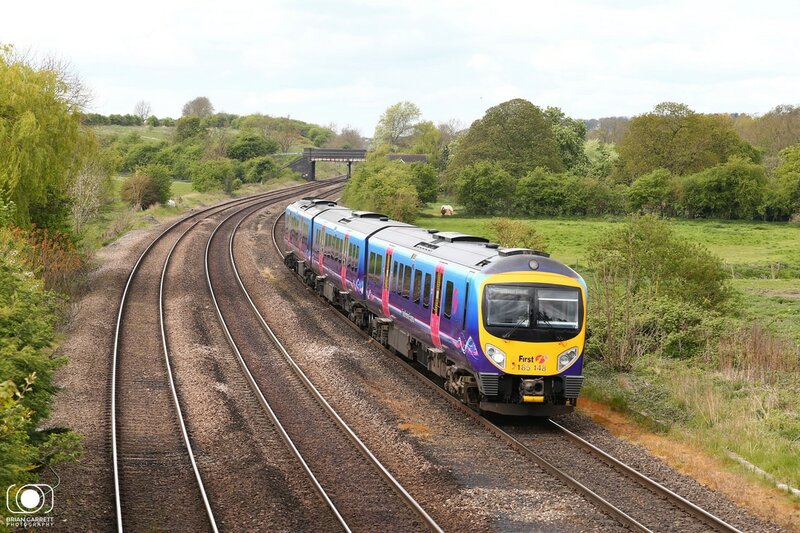 Transpennine Express Class 185 No.185135 passes Crowle Station while working the 1B85 15:26 Cleethorpes to Manchester Airport service. 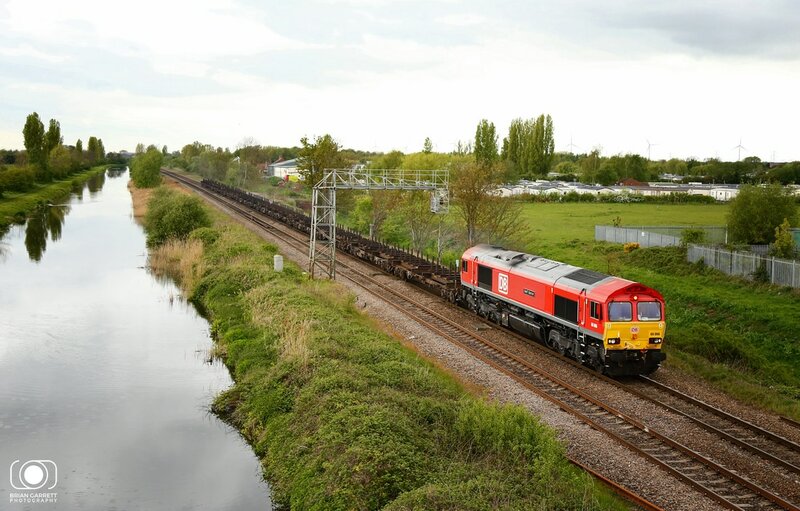 DB Cargo liveried Class 66 No.66066 passes Crowle with the 4E26 08:10 Dollands Moor to Crowle steel empties with the wagons/ flow having orginated in France returning to British Steel, Scunthorpe. 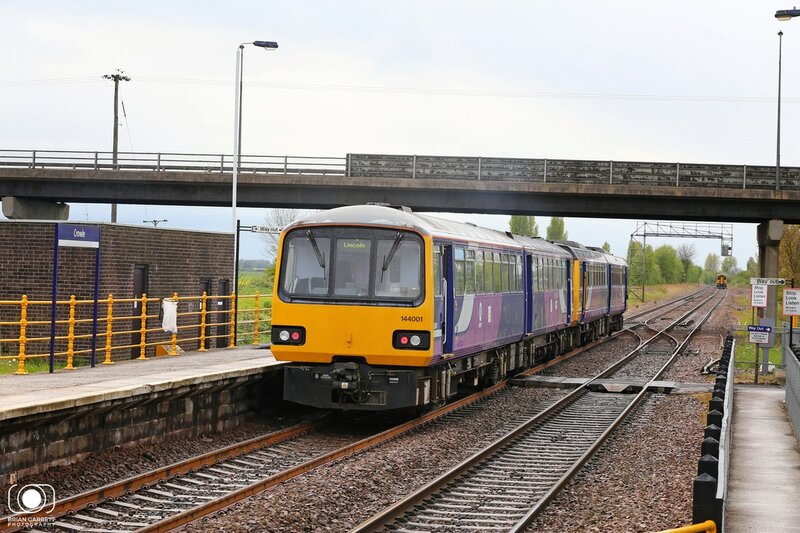 Northern Class 142 No.142064 leads No.144001 while working the 2P70 16:19 Scunthorpe to Lincon stopping service, seen arriving into Crowle. Class 144 No.144001 brings up the rear with No.142064 departing from Crowle for Lincon on the 27th April as Class 158 No.158791 arrives in the distance. 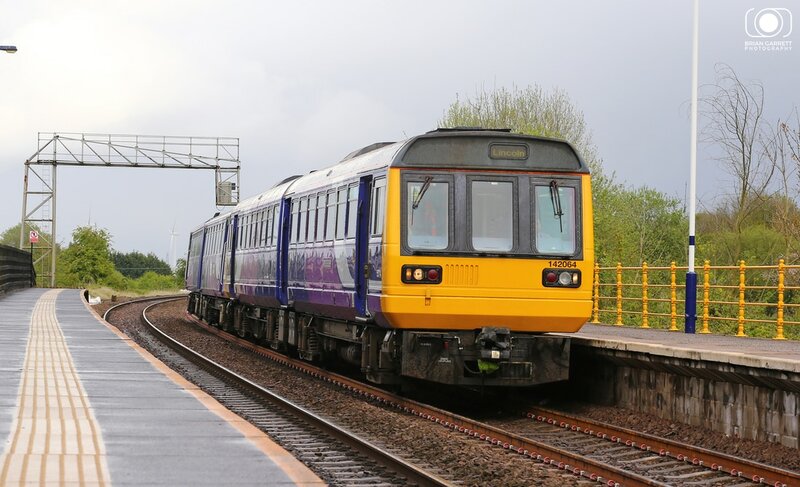 Northern Class 158 No.158791 arrives into Crowle while working the 2E43 15:24 Sheffield to Sconthorpe stopping service. 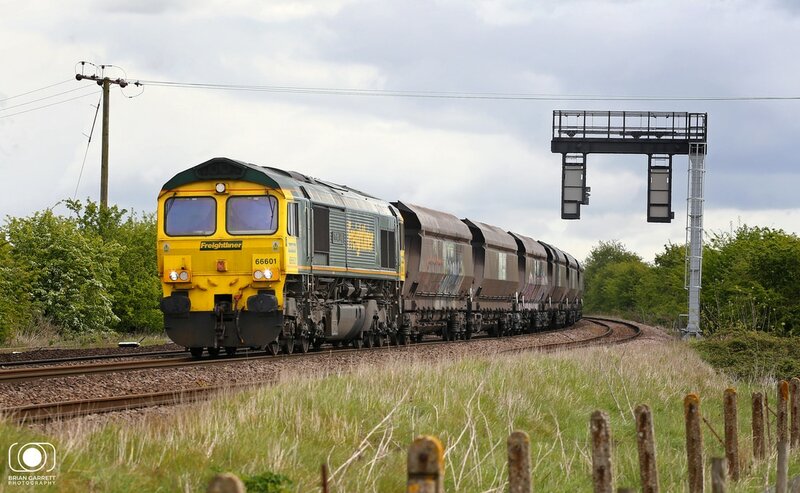 Freshly painted Class 66/0 No.66009 rounds the curve passing Barnetby East Box (now devoid of its operational semaphore signals) working the 6H62 08:15 Immingham to Drax Biomass. 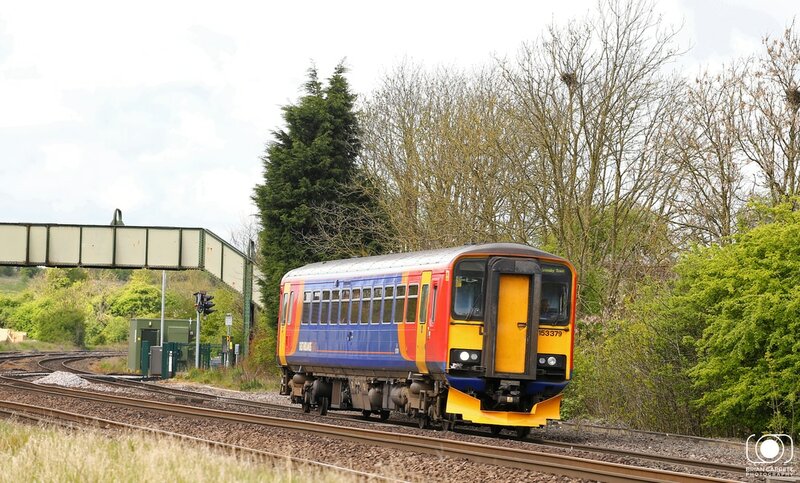 East Midlands Trains Class 153 No.153321 arrives into Barnetby working the 2T11 07:42 Newark to Grimsby service. 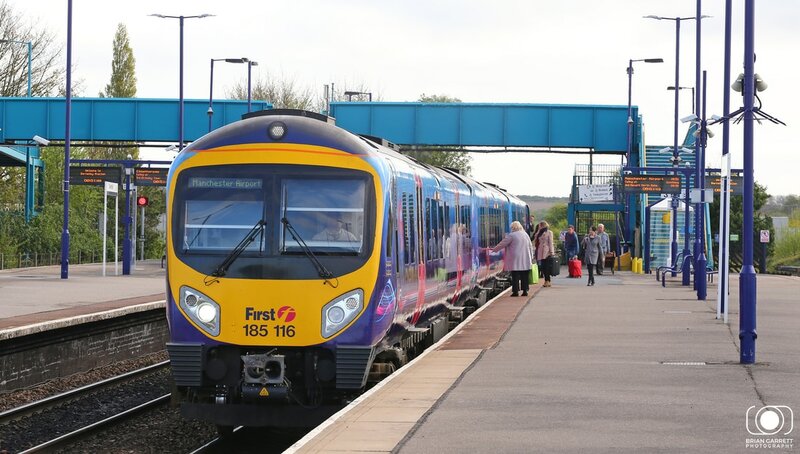 Transpennine Express Class 185 No.185116 picks up passengers from Barnetby Station while working the 1B71 08:26 Cleethorpes to Manchester Airport service. 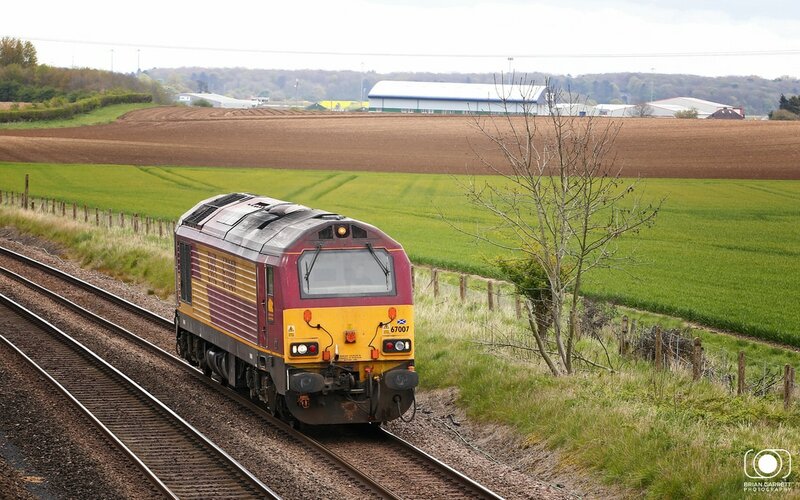 Former Scottish Sleeper Class 67 No.67007 passes slowly through Barnetby working the 0Z74 08:09 Belmont Yard to Humber Oil Refinery route learner. 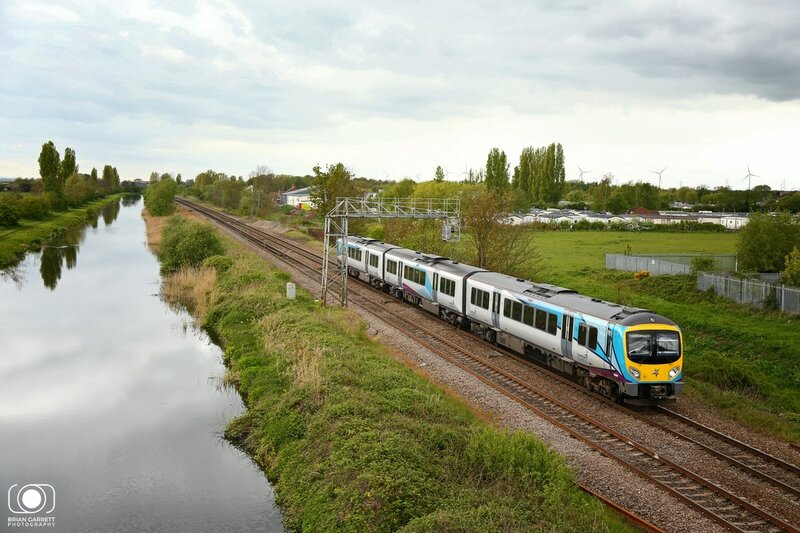 Wearing the newly applied Transpennine Express livery Class 185 No.185128 arrives into Barnetby working the 1B66 06:55 Manchester Airport to Cleethorpes service. 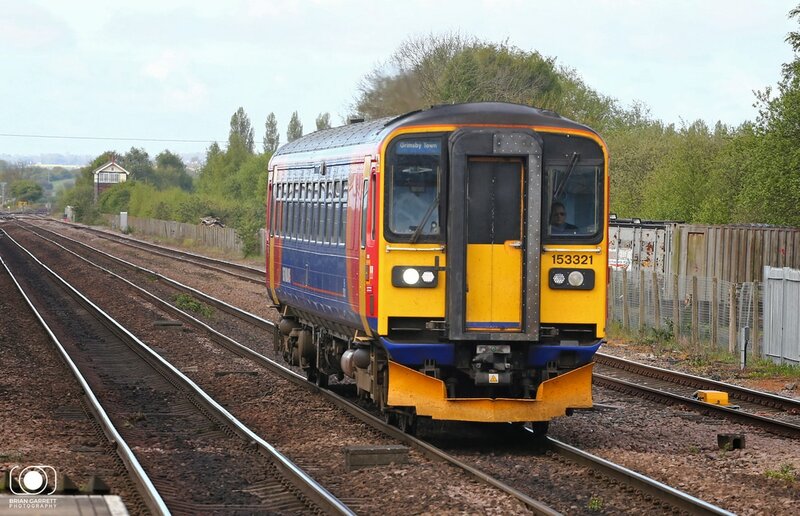 East Midlands Trains Class 153 No.153321 departs from Barnetby working the 2T30 09:20 Grimsby to Newark stopping service. 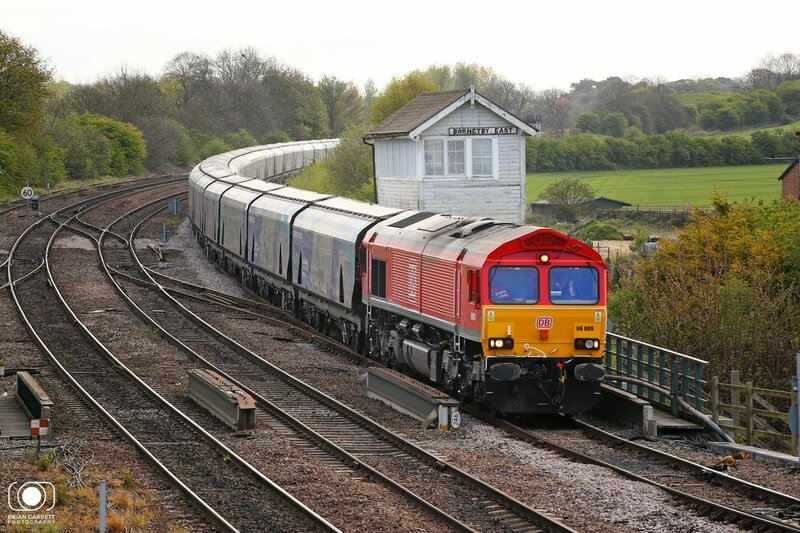 DB Cargo Class 66 No.66127 arrives into Barnetby working the 4R49 08:15 Drax - Immingham Biomass Empties. 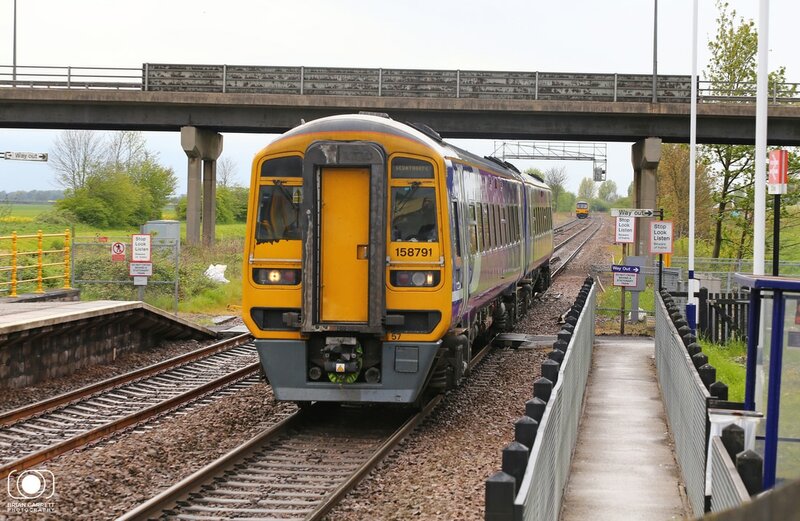 Transpennine Express Class 185 No.185124 arrives into Barnetby working the 1B74 09:26 Cleethorpes to Manchester Airport service. 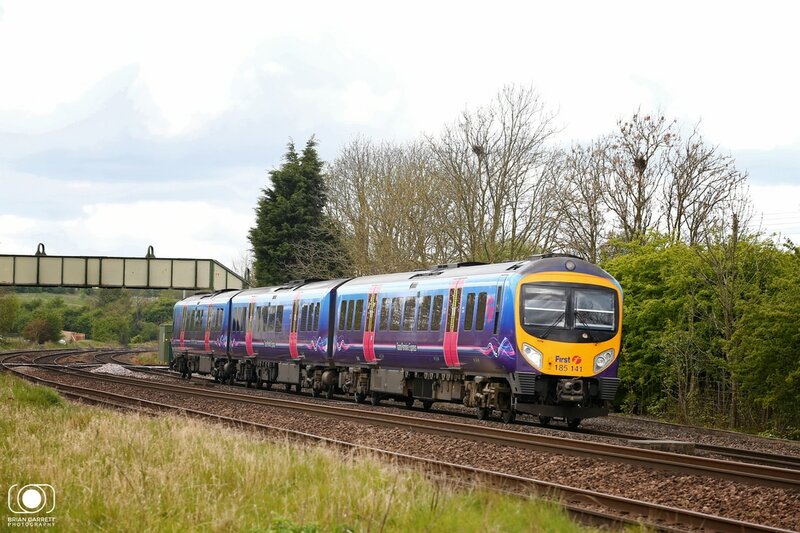 Transpennine Class 185 No.185141 rounds the curve at New Barnetby working the 1B86 07:53 Manchester Airport to Cleethorpes service. 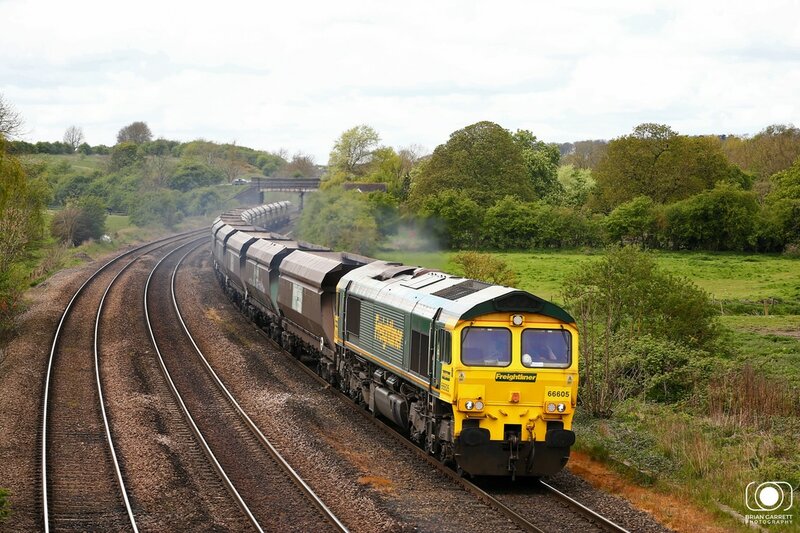 Freightliner Class 66/6 No.66603 rounds the curve at New Barnetby working the 6T23 09:55 Immingham to Scunthorpe loaded Iron Ore for Scunthorpe Steelworks. 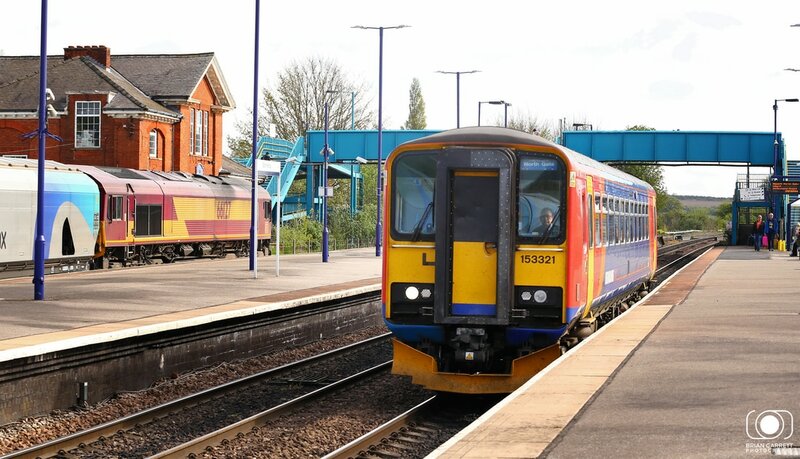 East Midlands Trains Class 153 No.153379 passes New Barnetby while woring the 2T21 09:57 Newark - Grimsby. 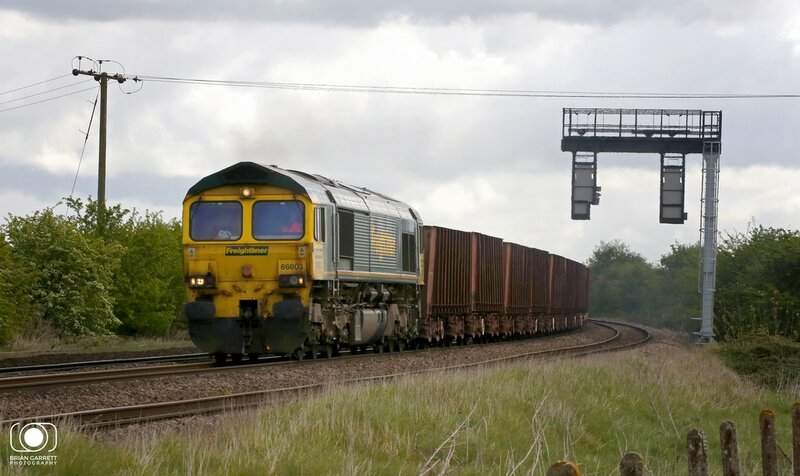 Freightliner Class 66/6 No.66601 powers through New Barnetby hauling the 6C75 10:33 Immingham - Scunthorpe loaded coal. 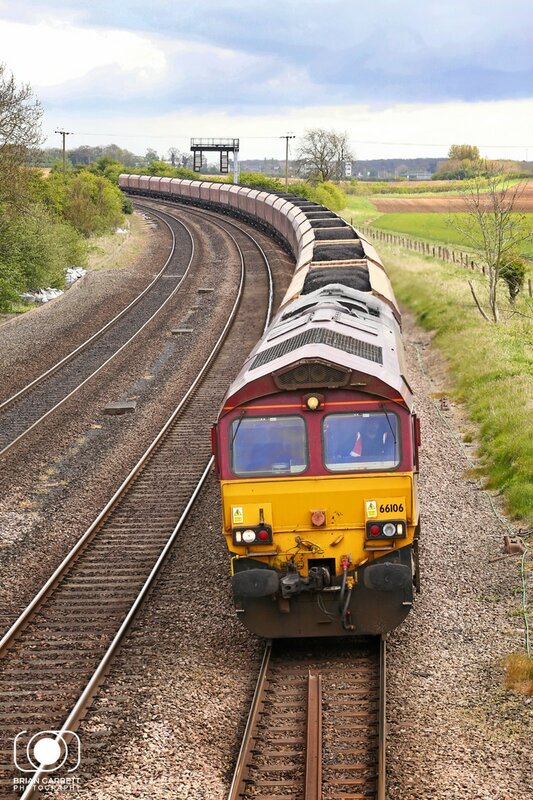 DB Cargo operated Class 66 No.66106 passes through New Barnetby hauling teh 6H60 10:45 Immingham to Drax loaded coal service formed of HTA hoppers. 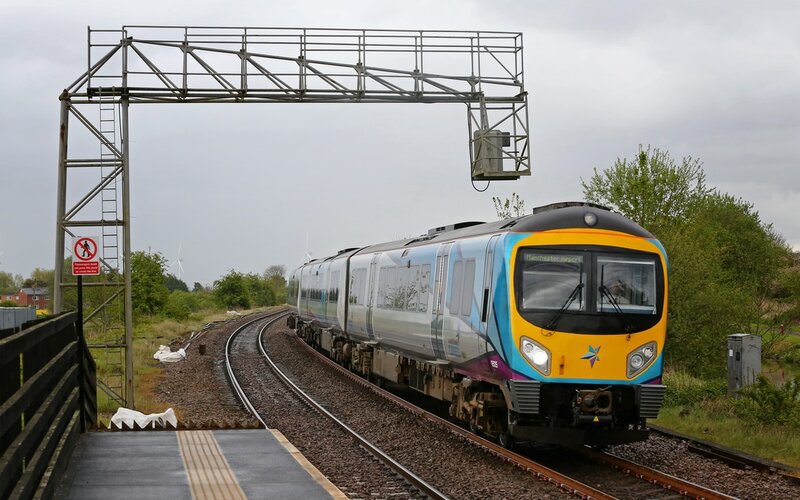 Transpennine Class 185 No.185148 curves through New Barnetby working the 1B70 08:55 Manchester Airport to Cleethorpes service. Having been stabled in the Barnetby Reception Sidings for most of the morning, Class 66/6 No.66605 passes New Barnetby haulign the 11:33 Barnetby Reception Sidings to Immingham empty coal HAA's. 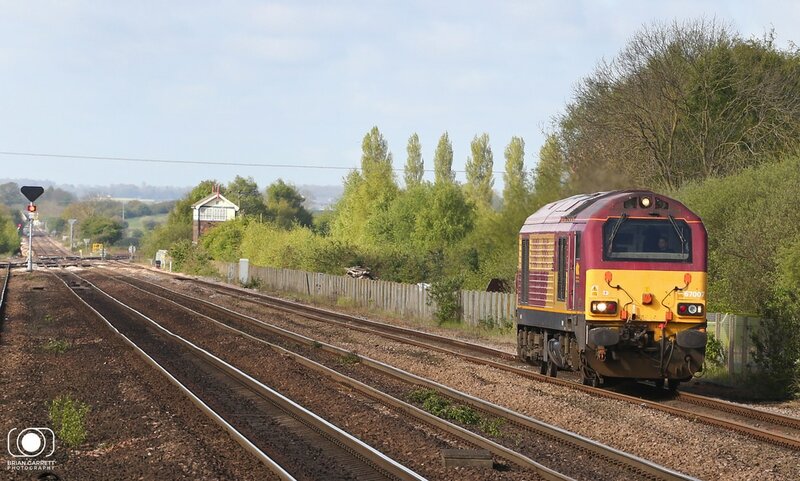 EWS liveried Class 67 No.67007 rolls slowly back through New Barnetby working the 0Z58 route loading trip back from Immingham Nordic to Doncaster Blemont Yard.